"The key is you have to love them like your own". 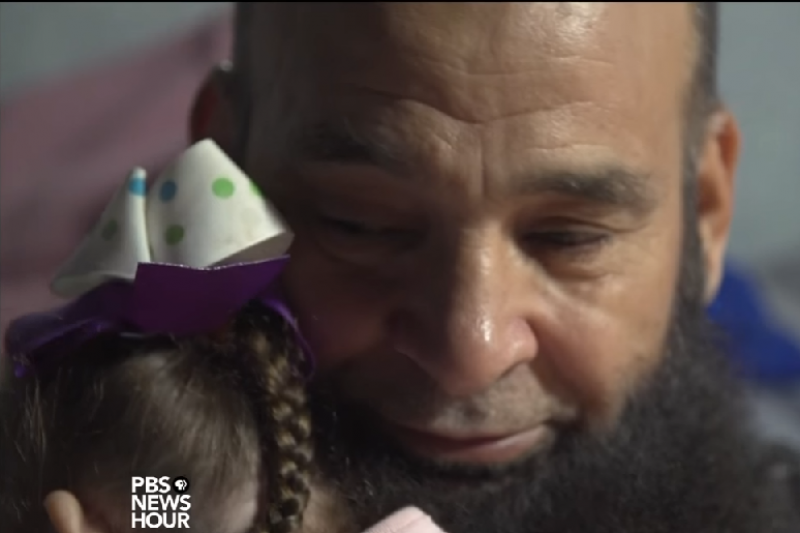 Mohamed Bzeek has been a foster parent for terminally ill children for over 20 years. Thank you again to everyone who has donated. Mohamed's story of love and dedication has clearly struck a nerve. Mohamed is going to get central air conditioning and heating. Both of Mohamed’s children have problems regulating body temperature. Right now Mohamed just has a swamp cooler in his living room. He mentioned that in the summer when it gets hot, the family has to spend all their time in the living room, near the swamp cooler. Mohamed has not taken a single day off since 2010. In 2010 he took 6 weeks off to visit family in Libya. But apart from that he hasn’t taken a day off since 2000. The donations will enable Mohamed to hire another nurse, if he needs additional support, or needs to take a break. Mohamed is very happy to be able to use some of the donations towards his son Adam’s college education. Mohamed has a 2003 van. He is very dependent on his van to take his children to doctor and hospital visits. He would like to use part of the donation to get a new, wheelchair accessible vehicle. Mohamed mentioned that his roof has been leaking badly for a while. He said that the donations came at just the right time. I can’t convey what a lovely, humble person Mohamed is. 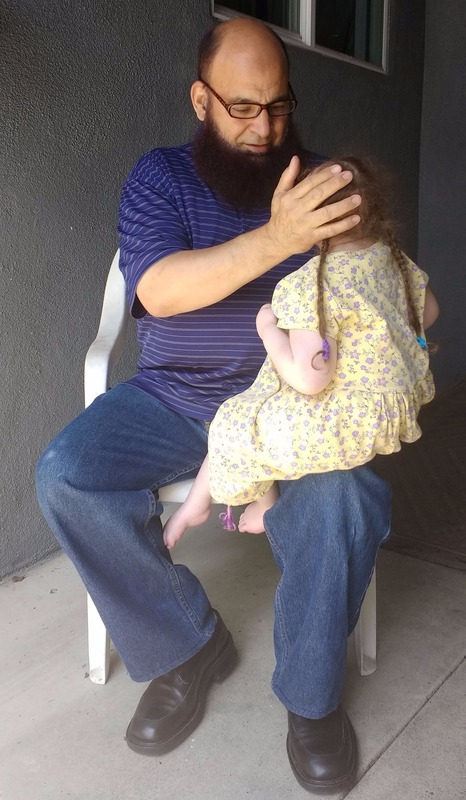 We spoke for over an hour, and most of the time was spent with him telling me beautiful stories about the children he has loved and taken care of. He also mentioned in passing that his family members in Libya had created an organization to take care of Libyan orphans, and so far they had served over 600 orphans. Yesterday I had never heard of Mohamed Bzeek. I was feeling overwhelmed and disturbed by the hate speech I was seeing on the internet. Then I happened across the article about Mohamed in the LA Times. I read it and burst into tears. It was healing to read about someone who is so genuinely good. I was touched by his faith, his gentleness, and his dedication and love for his children. 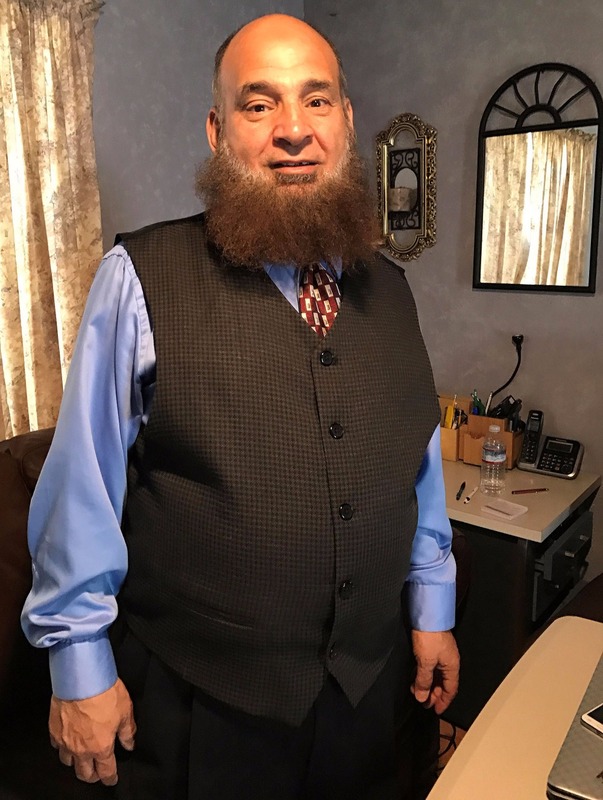 Mohamed has been of service, not only to his children, but to everyone who has read the article. In these times when there is so much hate, it is inspiring and reassuring to read about someone who is so good and full of love. Thank you, Mohamed. The world is a better place because you are in it. Also, thank you, Hailey Branson-Potts. Hailey wrote the article in the LA Times. In the hands of a lesser writer, this article would not have touched so many people. Thank you for introducing us to Mohamed. And thank you for writing about an ordinary (and extra-ordinary) Muslim American. "In light of the current state of rhetoric in our country regarding Muslim Americans, people like Mohamed need to be seen and heard." "It was so wonderful for the LA Times to do the story on just another person who "happens to be" Muslim and who happens to be an angel." ( I also added an update explaining what motivated me set up the GoFundMe campaign). Thank you to everyone who has donated so far! I am very touched and humbled by the outpouring of support and donations. All funds raised go to Mr. Bzeek and his family. The comments have been turned off. Thank you everyone for your kind words and support. 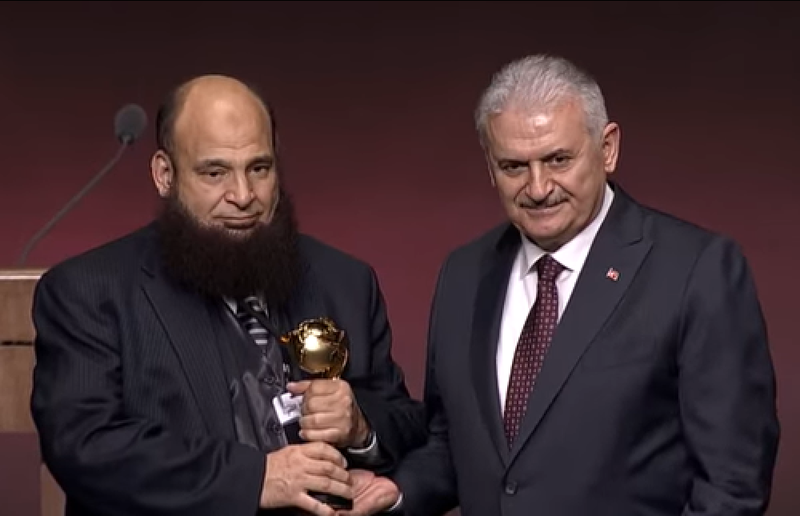 Mohamed was awarded the prestigious International Benevolence Award by the Turkey's Presidency of Religious Affairs. The Benevolence Award honors people who have performed acts of kindness. 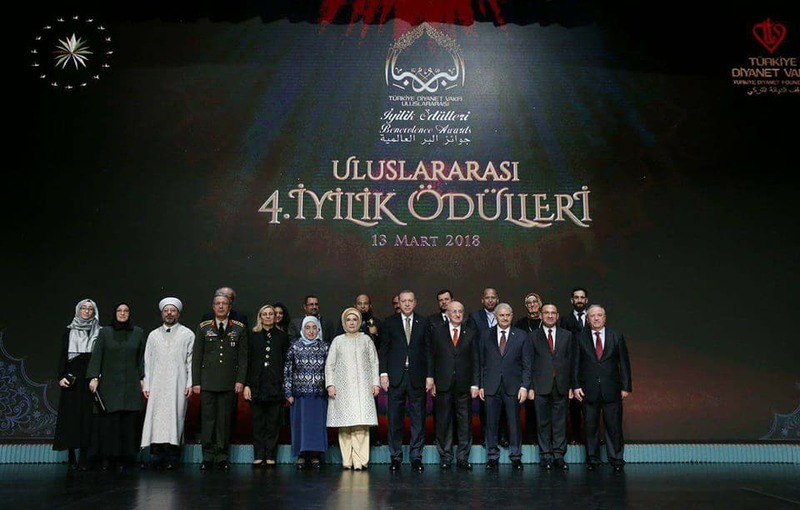 Seven recipients from Turkey, Canada and the United States, received their prizes at the ceremony held at the presidential complex and attended by Turkish President Recep Tayyip Erdoğan. Mohamed being introduced (in Turkish) and GoFundMe movie of Mohamed. Yesterday, the GoFundMe campaign for Mohamed Bzeek hit $500,000, half a million dollars! Close to 10,000 people have donated. Some people have donated multiple times. Mohamed is deeply grateful for the donations and the support. He has told me many times that the best parts of the campaign are the many kind messages he has received. In these times when there is a lot of hate and anger in the world, it is very reassuring to read about someone who is fundamentally good, and who is focused on being of service. Thank you for everyone who has helped Mohamed. You are helpers, too. 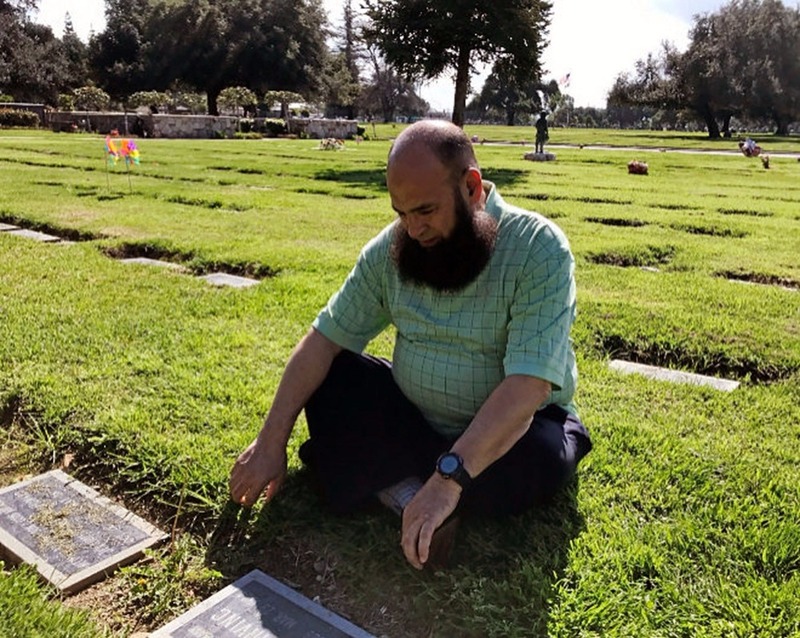 I wanted to pass along a new article on Mohamed from Children's Hospital Los Angeles. "He recounts a few others, including one boy who lived with Bzeek for eight years. 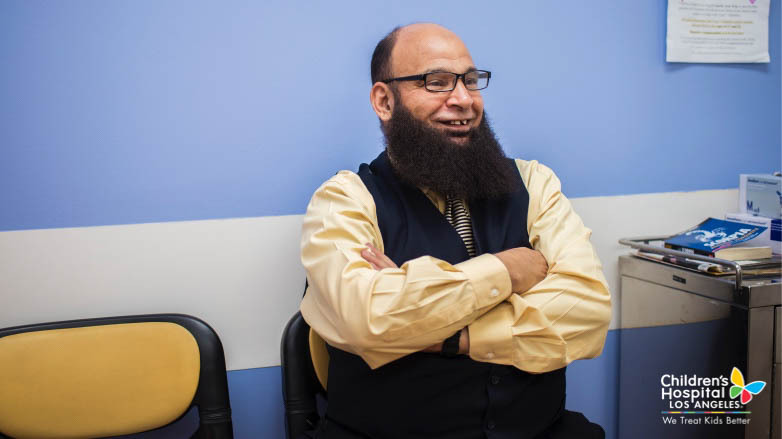 He had short-gut syndrome and took his meals through a feeding tube, but Bzeek and his wife set a place for him at dinner each night. “We gave him his plate, his spoon, his fork, his cup—but there was nothing in it,” he says. Ask him why go to all that trouble, and his voice rises, incredulous. “He’s family! We sit as a family!” He softens his tone. “All of us at the table.” "
I wanted to send out a special 'thank you' to everyone who has sent a kind message. Mohamed has often told me that the best part of this campaign has been all the kind messages he has received. Thank you. I was recently struck by a comment posted on Al Jazeera. It was in regards to many viewer comments stating that Mohamed was an angel. The author said that even though it was a lovely compliment, that actually some humans are ranked higher than angels in the sight of God, because angels cannot choose to do good, and are not tested, whereas humans are. Wishing everyone a Happy Father’s Day. I donated because Mohamed is an inspiring human being and deserves all the help he can get. Mohamed, you are an inspiring human being. Your love, dedication and compassion has touched me. Thank you for making the world a better place and for looking after these kids who had no other options.